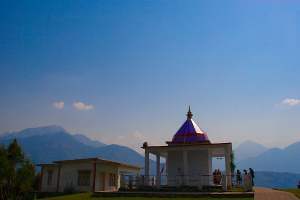 Kumaon and Garhwal are the two main areas of Uttarakhand state. Kumaon region is quite popular among tourist all over the world for its Himalayan Peaks, Jungles and reach spiritual culture prevailing in entire region. Kumaon region consist of six districts, they are Almora, Bageshwar, Champawat, Naintal, Pithoragarh & Udham Singh Nagar. To visit Kumaon area tourist directly arrives from Delhi or other places of India at Naintal the main hill station of Kumaon. However to visit upper Kumaon area the best road connectivity is available from Haldwani. Early morning buses and shared taxi starts from Haldwani bus stand to different locations of Upper Kumaon regions. There is a direct bus starts from Delhi in evening and runs upto Munsiyari via Haldwani. Naintal is connected by road only and there are overnight buses from Delhi to Naintal. Nearest railway station is Kathgodam which is at a distance of 60 KM. Shared taxi are available ( Charge Rs 100/- per head ) If you have booked your vehicle then ask your driver to come upto Kathgodam railway station. Kathgodam is just 7 KM from Haldwani and this is the last station on this rout. If you have plan to visit Corbet National Park before going to upper Kumaon or Naintal then take a train ticket upto Ramnagar. From Moradabad two lines branch out , one goes to Kathgodam and other one goes to Ramnagar ( both are end stations ). Airport is available at Pantnagar. However these airports are operational in traffic season with good weather conditions. Among all the tourist places of Kumaon the most popular is Naintal hill station. The lakes, cool weather and the beauty of Himalayan hill ranges attracts tourist from all part of the world. If you are travelling north Kumaon then you can visit other hill stations like Ranikhet, Kausani, Chaukori, Munsiyari, Binsar and many more. Kumaon is also popular for Kailash Mansarovar trip by the side of Kali river via ancient rout to Tibat. There are several trekking routs available throughout Kumaon region. All the towns of Kumaon have some Jungle trek routs but most popular and adventures is Jungle trekking at Binsar. Out of all Himalayan glacier treks some of the popular ones are Nanda Devi base trekking, Millan glacier trekking. Pindari glacier trekking and few more. KMVN is a govt of Uttarakhand undertaking established for tourism developments across Kumaon region. 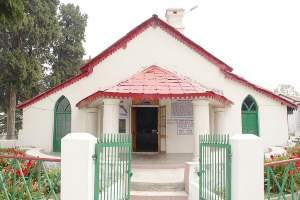 KMVN has 52 tourist rest houses or tourist reception centre ( Popularly known as TRC ) across Kumaon region. They have wide marketing network in almost all major cities of India. 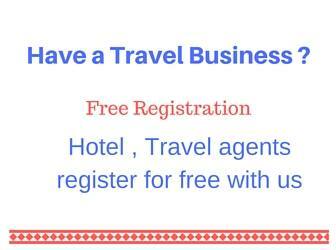 They provide total solution including vehicle and booking of KMVN resorts / hotels to plan your trip. In some places (like Binsar) they have advantage over other resorts by having excellent locations. There are several mountain peaks which attract many trekkers and mountaineers to Kumaon. These peaks are visible from Naintal and other places of Kumaon region. Here is a list of peaks and its height. Kumaon region can be visited throughout the year however the best view of Himalaya can be seen during early winter and before staring of summer. 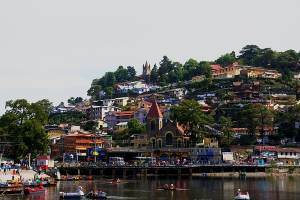 Usually during summer holidays ( May � June ) all these hill stations particularly Naintal gets crowded. Minimum ten days are required for a casual visit to all important places of Kumaon.